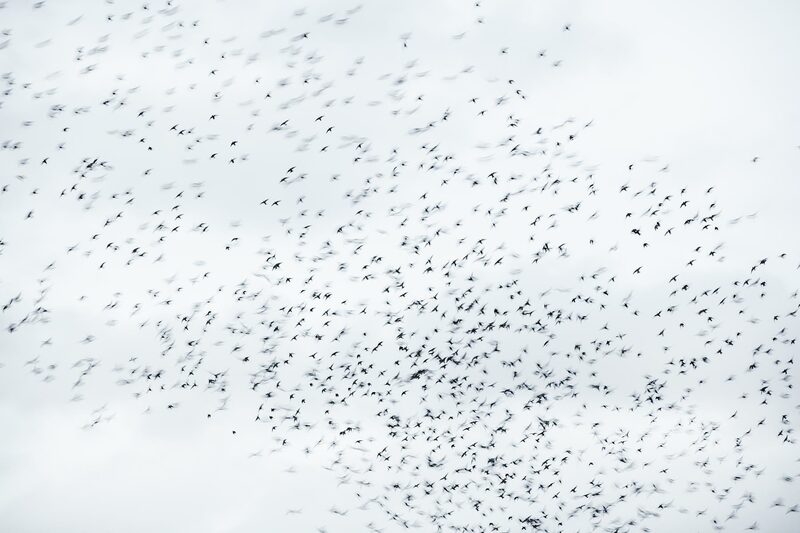 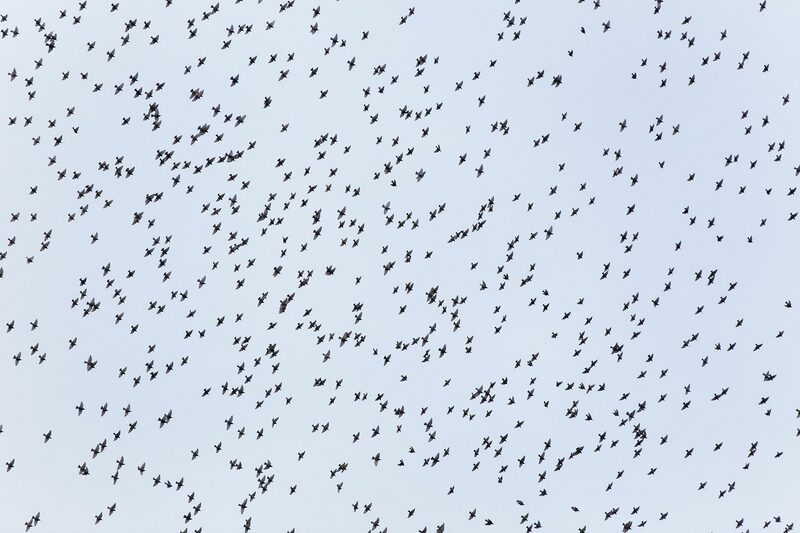 Though a regular sight above Brighton in East Sussex throughout the winter, the evening gathering of Common Starlings (Sturnus Vulgaris) is an occurrence of exceptional grace and beauty. 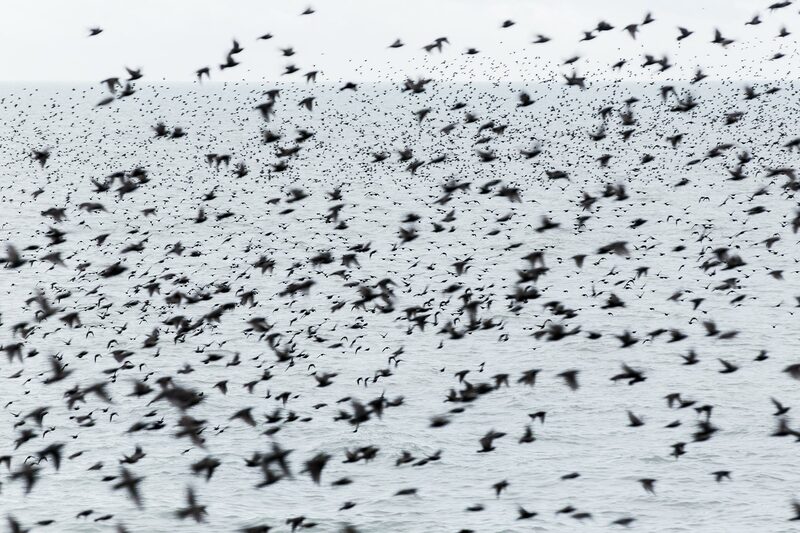 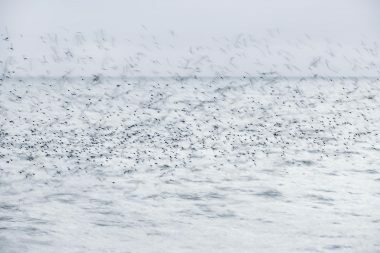 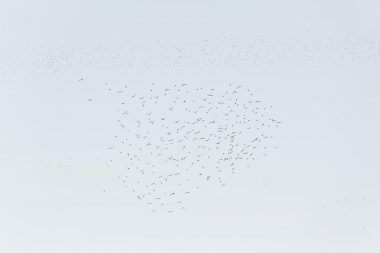 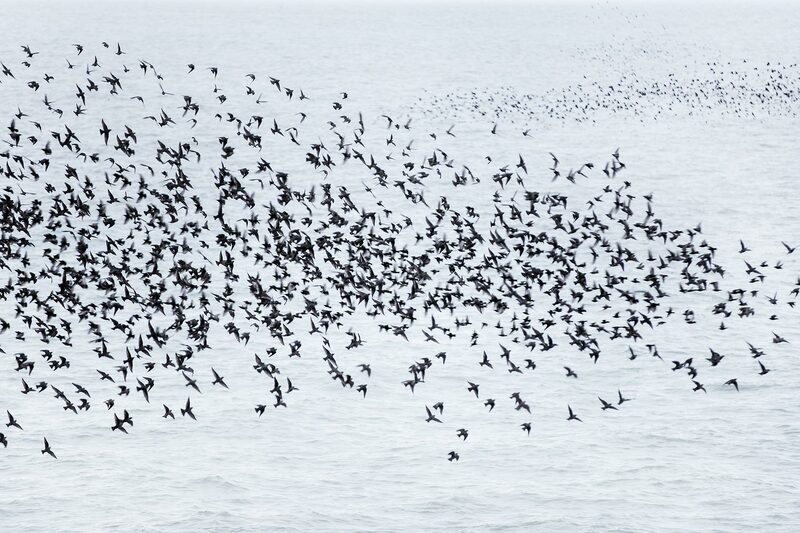 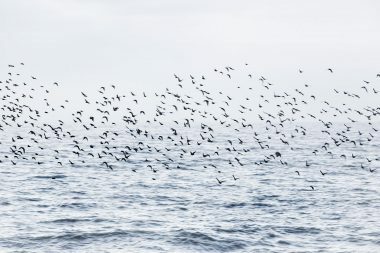 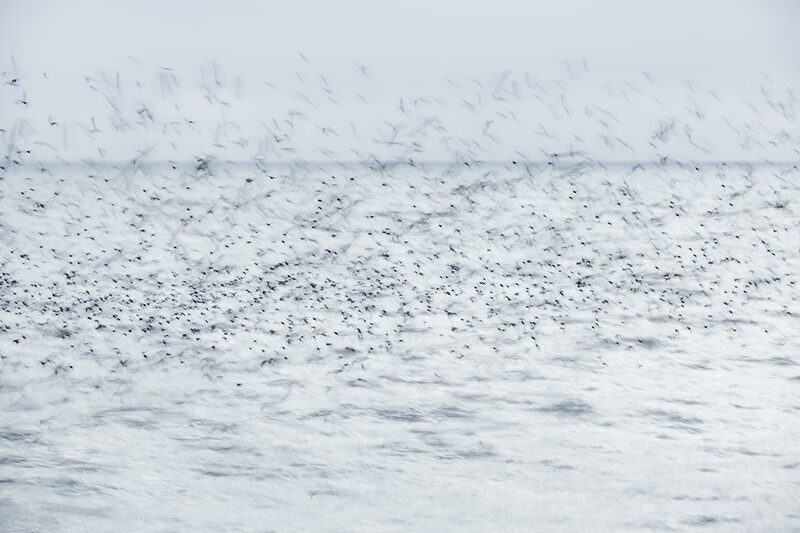 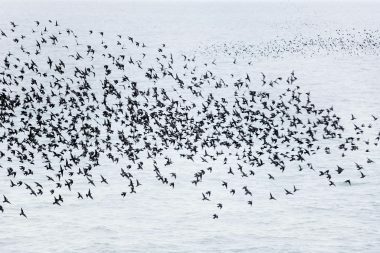 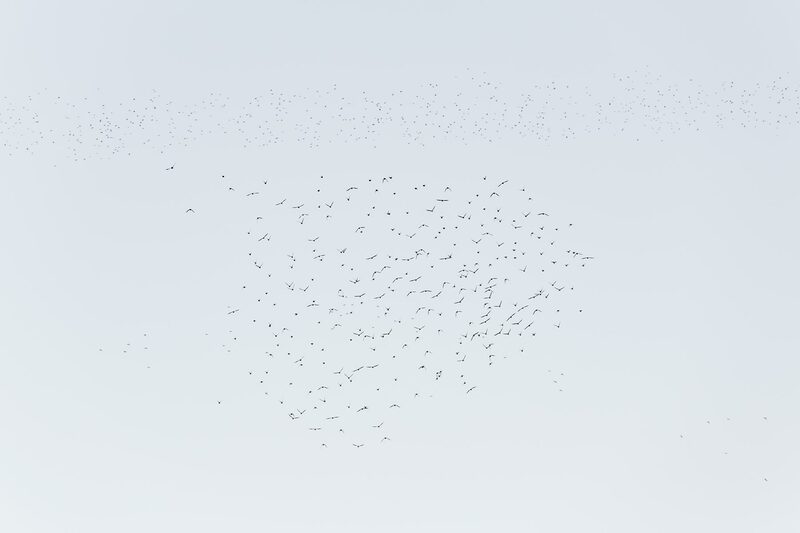 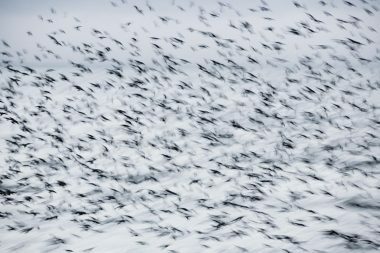 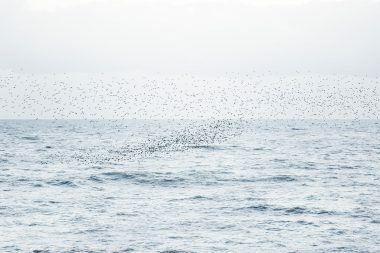 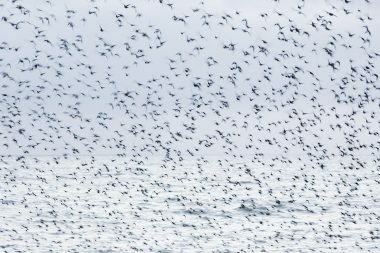 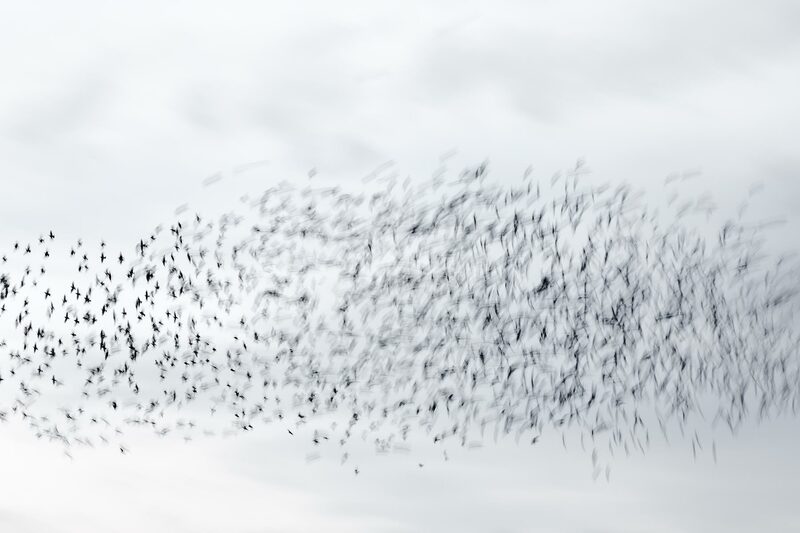 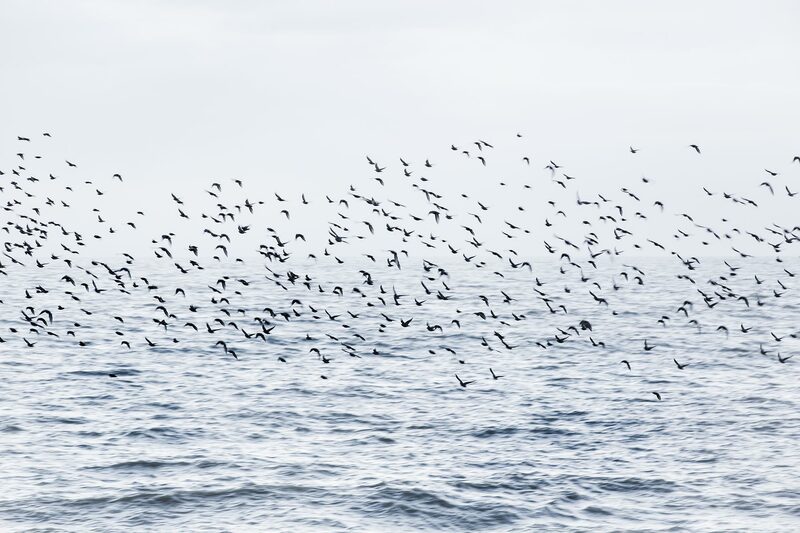 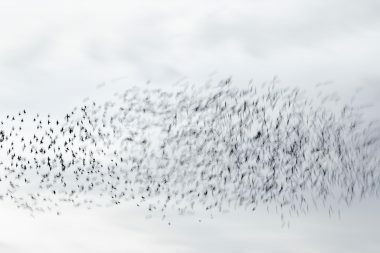 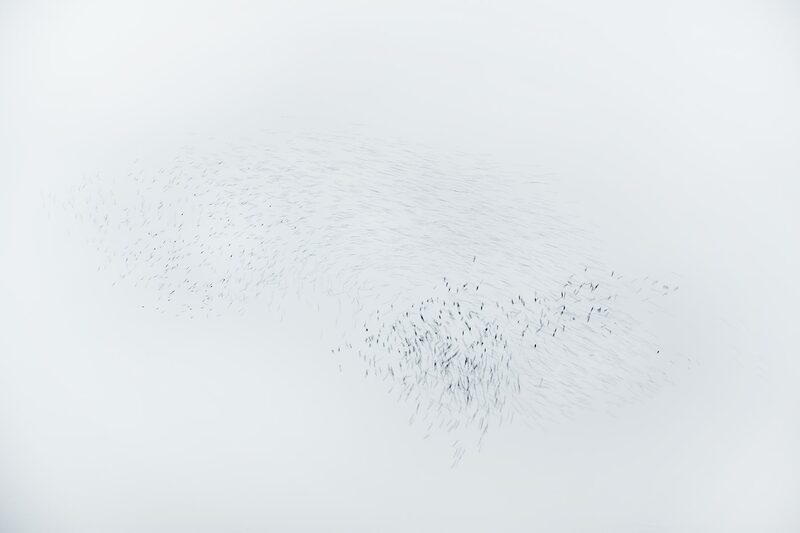 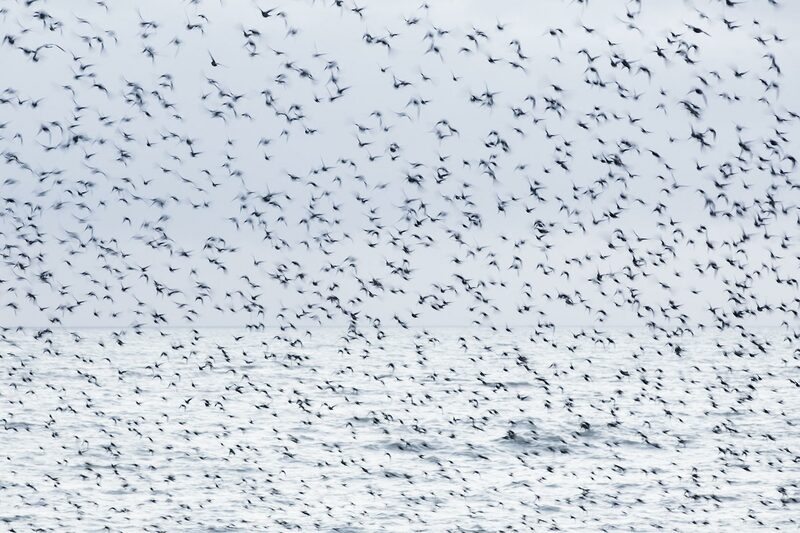 With varying degrees of abstraction, these images are intended to express the shifting and poetic amalgamation of Common Starlings, known as a murmuration, before they flock below Brighton’s East Pier to roost. 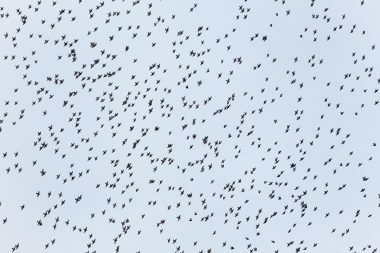 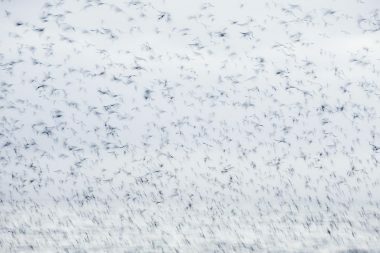 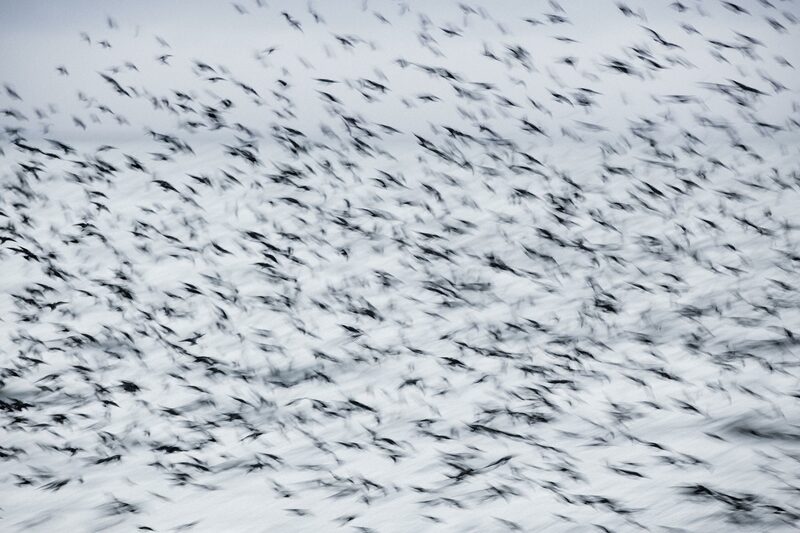 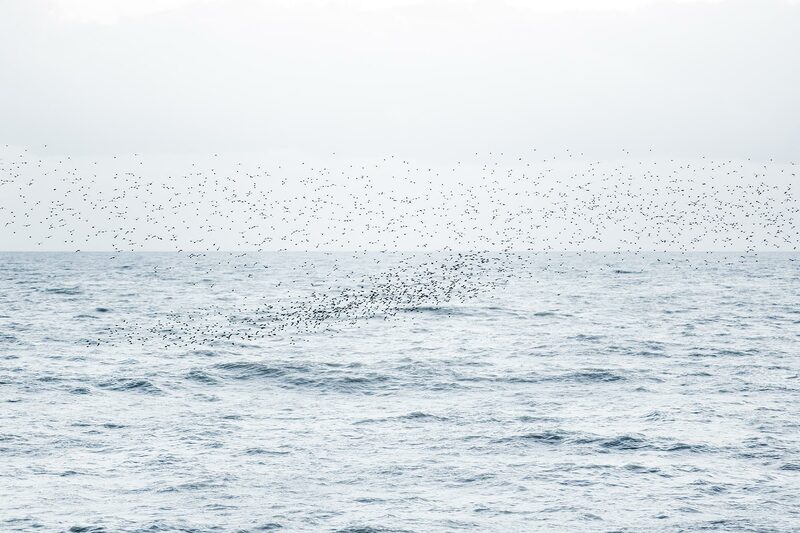 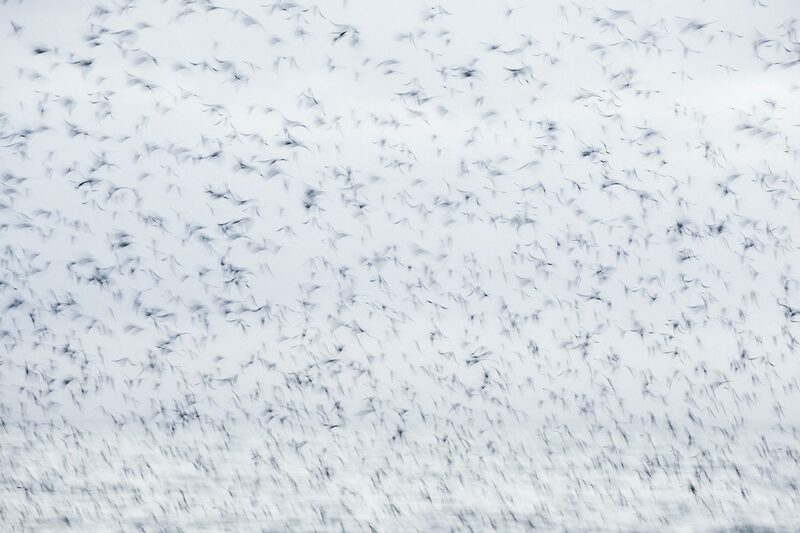 The flocks are estimated at reaching 40,000 at their peak in December and feed up to 20 or so miles from where they gather in the evening. 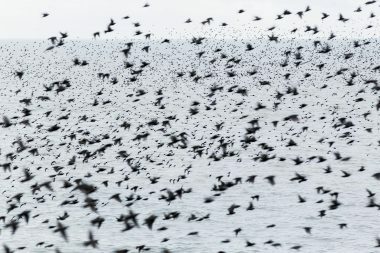 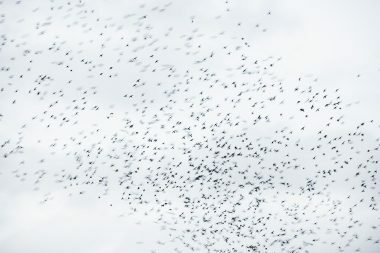 The numbers of starlings in the UK are in sharp decline and are consequently Red Listed as a bird of conservation concern.